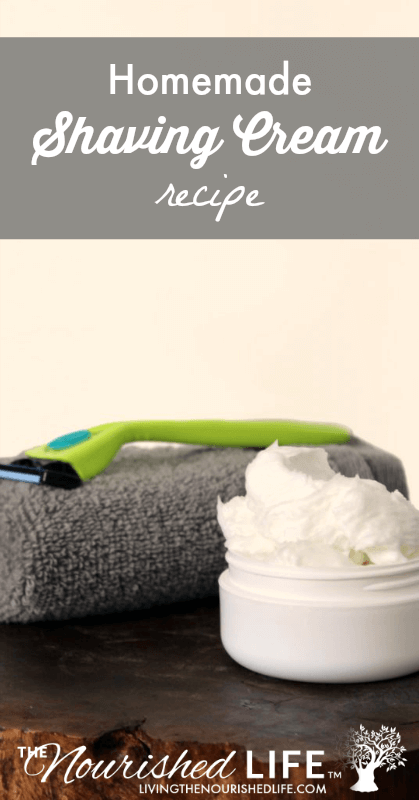 This homemade shaving cream recipe with witch hazel is perfect for anyone who suffers from sensitive or dry skin. Not only does this natural shaving cream help to prevent razor burn, the ultra rich formula also moisturizes and protects skin. The addition of witch hazel works to soothe the irritation, damage and inflammation that often comes from frequent shaving. If you shave everyday, then you know all too well the toll it can take on sensitive or dry skin. Therefore, a good razor and a quality DIY shaving cream are crucial to maintaining your skin’s health. When I was learning how to make shaving cream, I realized witch hazel was a crucial ingredient. I recommend using a true witch hazel that has been double distilled and contains no more than 15% alcohol. (This will prevent that alcohol sting you get from cheaper commercial brands of witch hazel.) I specifically used Mountain Rose Herbs witch hazel, however T.N. Dickinson’s witch hazel would work as well. More Skin-Nourishing DIY Beauty Recipes: DIY Cuticle Oil for Cracked Cuticles, Soothing Rosacea Cream, Herbal Infused Lip Balm Recipe, Homemade Microdermabrasion Scrub Recipe, and Lavender Mint Body Butter Recipe. Using a digital scale, weigh out the shea butter, coconut oil, safflower oil and emulsifying wax. Combine in a 4-cup Pyrex measuring cup or glass bowl. Heat the ingredients for your DIY shaving cream at 50% power in the microwave until melted. Alternately, you may also use a double boiler. Once melted, remove the ingredients from heat. Then weigh out and stir in both the witch hazel extract and liquid Castile soap. Using a dropper, add each of the essential oils then stir well to combine. Place the container with your homemade shaving cream mixture in the refrigerator until the mixture is no longer translucent. Now whip the shaving cream using a hand blender or an immersion blender with a whisk attachment until fluffy. Spoon your homemade shaving cream into a clean, sterilized 4 oz. container of your choice, then store in a temperature controlled location. To use, simply apply a small amount of homemade shaving cream to the desired area and shave as usual for soft, smooth and moisturized skin. 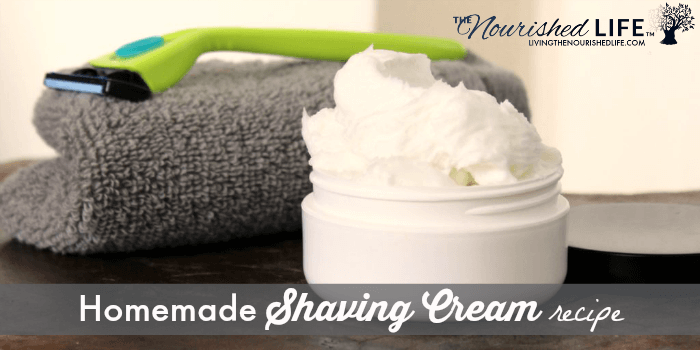 Want to Share How to Make Shaving Cream? PIN IT!